Magnesium plays a vital role in your ability to maintain an optimal level of overall health and wellness, as it is an important part of over 300 enzymatic reactions throughout your body on a daily basis. While magnesium can be gotten through a healthy daily diet, many people may not be getting the daily recommended value. 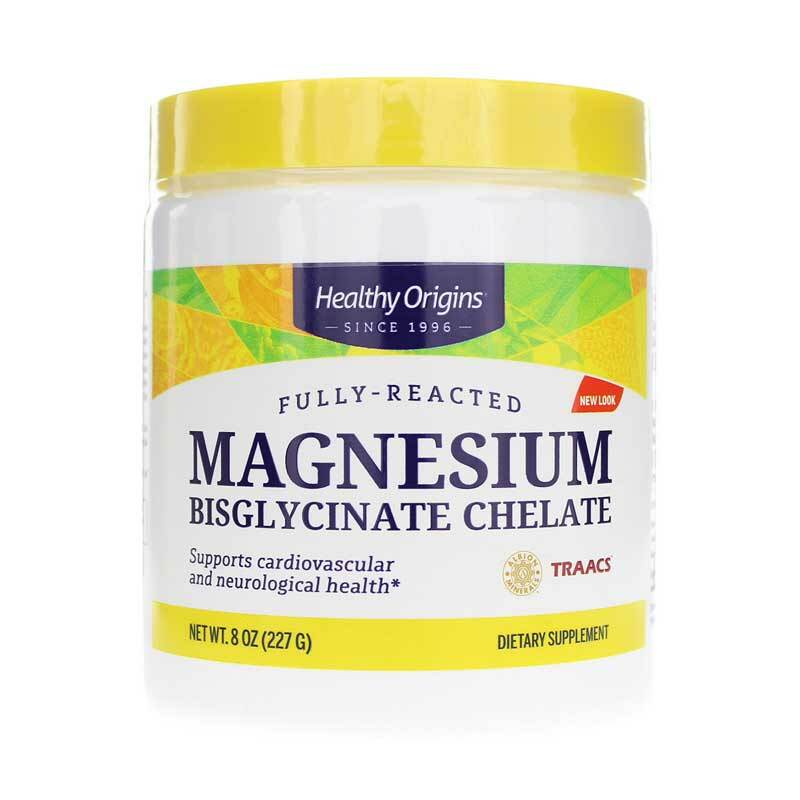 Healthy Origins offers a product called Magnesium Bisglycinate Chelate, a powdered dietary supplement that offers a highly bioavailable form of magnesium to help support and maintain cardiovascular and neurological health. 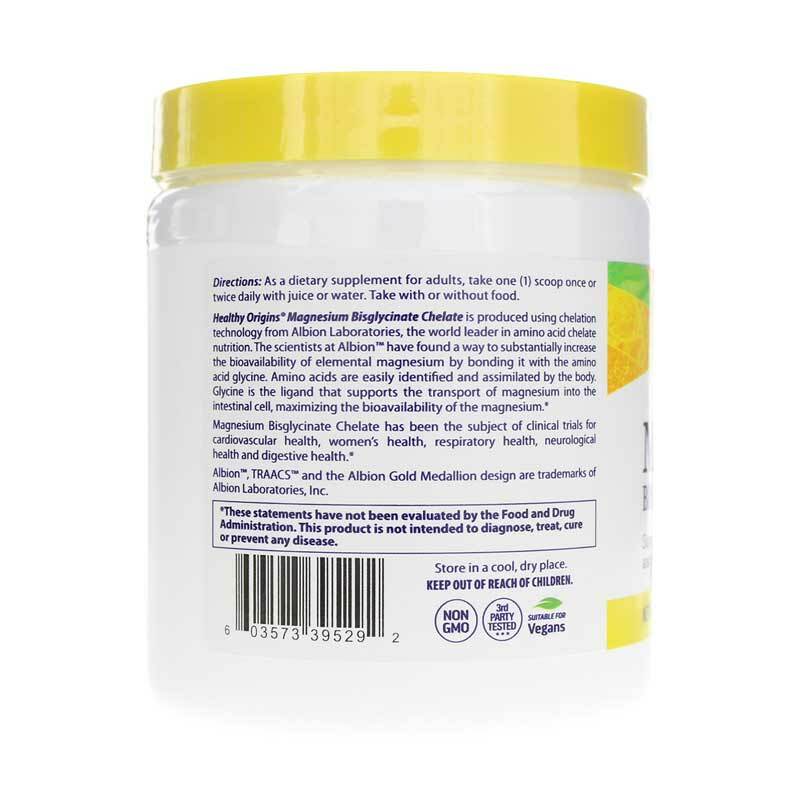 Every batch of Healthy Origins Magnesium Bisglycinate Chelate is manufactured without the use of most common food allergens, and is 100% GMO-free. The convenient powder form is easy to use and mixes easily with six to eight ounces of water or juice. 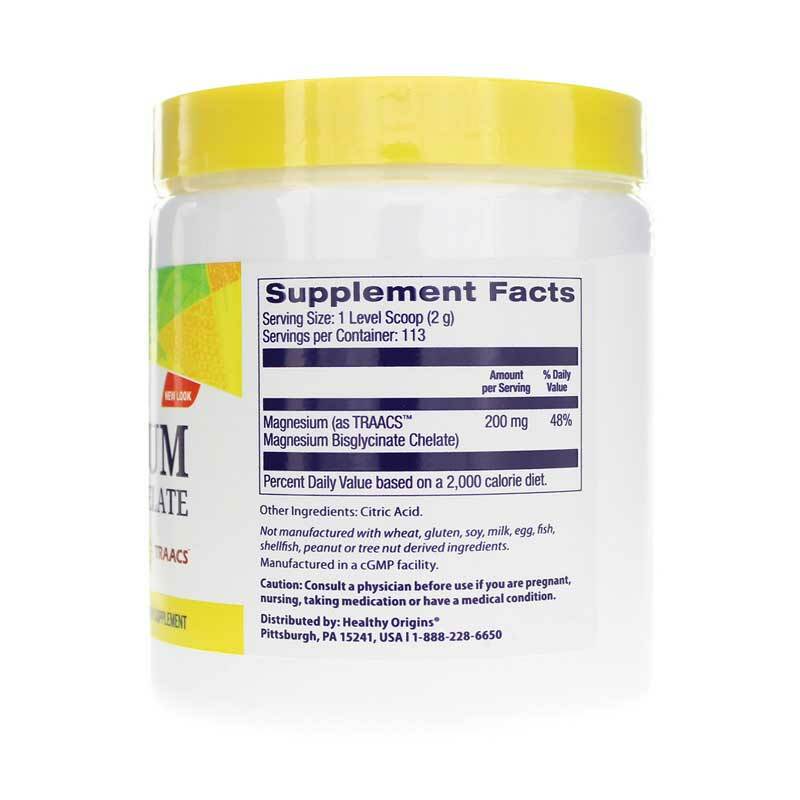 Give Magnesium Bisglycinate Chelate a try today, and see the difference it may be able to make in your overall health and wellness. Order now! Contains NO: sugar, yeast, wheat, gluten, corn, soy, fish, shellfish, nuts, tree nuts, egg or milk. Suitable for vegetarians/vegans. Non-GMO. Adults: As a dietary supplement for adults, add 1 scoop of powder into 6 to 8 ounces of juice or water. Take once or twice daily or as directed by a physician. The taste of this magnesium isn't great however, it works great for aches and pains and helped my night time leg cramps! I've also noticed that I sleep much better. I like this product because it's very pure, unlike most other brands that contain unwanted ingredients.